Using a pencil or a water soluble marker, add in your seam allowance and trace. I add in about 1 1/2" for both the waistband and the bottom of the legs, and about 3/4"- 1" on the inner seam depending on what kind of seam allowance you like. Cut out your knit. I like to hem up the bottom of the leggings at this point because I find the opening to be too tiny for me to make them as pretty once everything is assembled. Fold the bottom of the pants (the more narrow side) up 1/2" then press and another 1/2" and press down. Pin that and sew it down for both legs. I like to hem with double lines but that's not necessary, a zig zag stitch also works well if your fabric is really tight. DON'T FORGET YOUR BALL POINT NEEDLE... PSA of the day! Next, fold the waistband part under by 1 1/2". Sew all the way around but make sure to leave a 1"-2" opening for your elastic. I like to mark my opening so I don't forget. Almost done! Time to cut your elastic, measure your baby's waist and cut the elastic to that measurement. If you add anything it will be too loose so I always cut it to the exact measurement. Once you have sewn all the way around, insert your elastic with a safety pin making sure it stays flat. Bring it out and around the other side. Now use a zig zag stitch and sew up the elastic overlapping it by 1/2" on both pieces. Last step... close up that hole on the back of the waistband where we inserted the elastic. Thank you for sharing this great tutorial! I need to make some for my daughter! 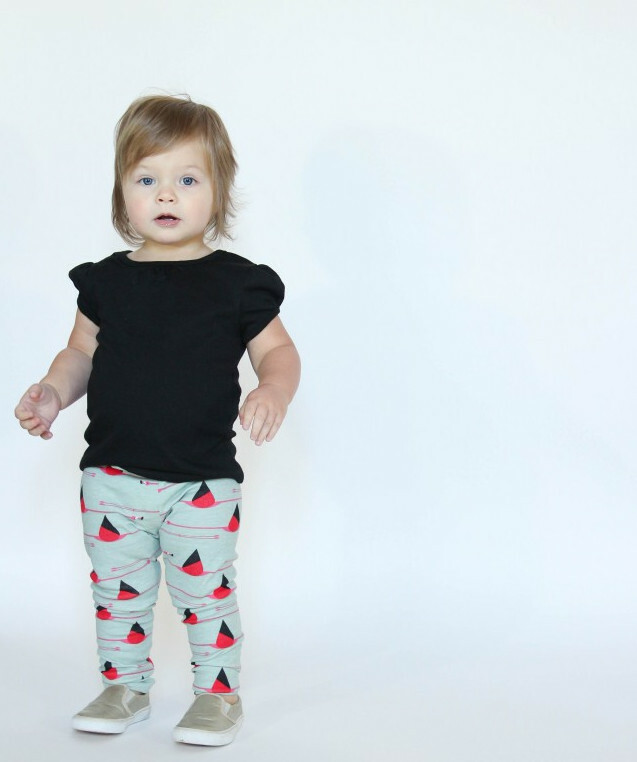 So adorable & great tut on the leggings thanks for sharing !!! The best workout clothes are close fitting without being too tight. (I have 35" hips & got a size small). 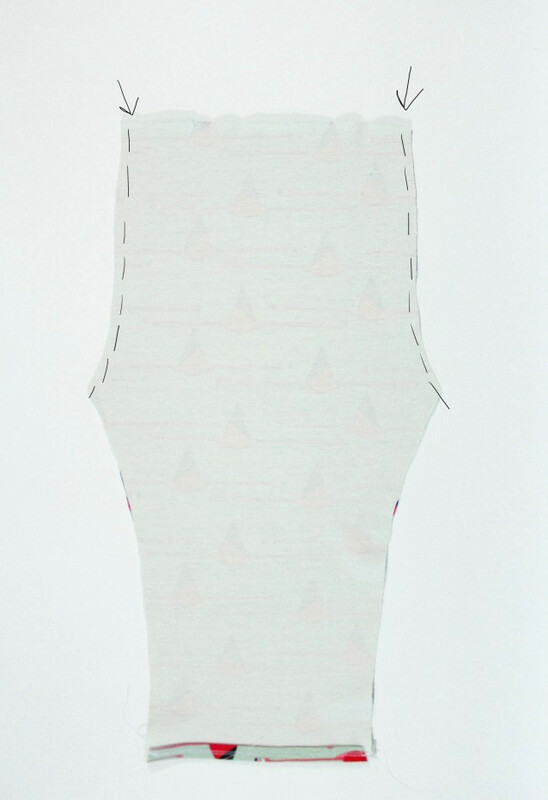 The pink waistband is made of a stretching knit & there is no added elastic band. As a result, there is little to no muffin top!